ACTRESS Danai Gurira, who stars in the famous movie Black Panther, made headlines at this year’s edition of the Oscars. Through bagging an Oscar, she became the first Zimbabwean who has made it to America’s prestigious Academy awards that celebrates achievements in the film industry. Without doubt, Gurira’s contribution in the film industry is not only exceptional but provides hope for fellow Africans to develop and excel in the same industry. She carried with her the heritage of the country and the history of Africa as she starred as a main character in Black Panther. Indeed, her appearance at this year’s Oscar awards is not something small but an achievement and celebration for the local film industry that seeks to groom actors and actresses who can contribute to raising the country’s flag high. Her role in the film Black Panther not only displays her acting capabilities but contributed to her being recognised world over as one of African great actors who have made it in Hollywood. The adage: ‘A prophet is not celebrated in his/her own land’ does not apply to Gurira who is a local heroine and will be part of this year’s National Arts Merit Awards (NAMA). The talented actress is among the nominees in the category of special awards for artistes in the Diaspora. Her nomination speaks volumes about her contribution in the local film industry and her presence in the global industry. Other nominees in the same category include England-based Donel Mangena and Sweden-based musician Luckson Chikutu. Through a press statement, the organisers of NAMA and National Arts Council of Zimbabwe (NACZ) revealed that not all nominees submitted their work but were chosen on merit. Gurira continues to serve as a source of inspiration for local actors, especially those wishing to make it internationally. The talented actress has featured in a number of films that include Law and Order: Criminal Intent(2004), In the Continuum (2005), The Visitor (2007), The Walking Dead (2012) , Mother of George (2013) and Familiar (2015). NAMA recognises outstanding achievements within the creative sector and each year, artistes from various arts genres submit their work released or produced that year and a panel of adjudicators go through them for selection. Interesting nominees this year include Obert Chari’s ‘Mebo’ for Outstanding Song. ‘Mebo’ is competing against other popular tracks like ‘Sweetie’ by Nicodimus Mutize, better known as Jah Signal, ‘Kanjiva’ by Enzo Ishall and ‘Khal’uphete’ by Clemence Ncube. 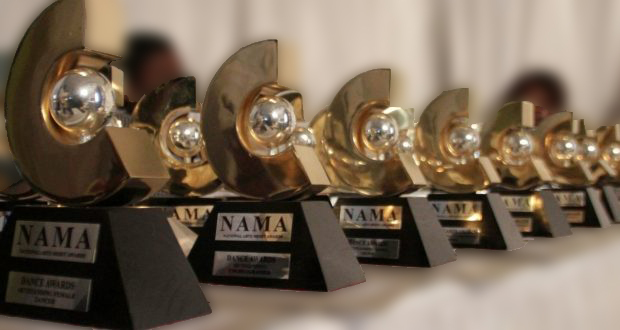 According to NACZ, the NAMA awards are a means of recognising talent as well as encouraging creativity and excellence in the quality of the arts, making Zimbabwe a force to reckon with on the international arena. Some of the nominees featuring in more than two categories are Janet Manyowa for Outstanding Female Musician and Outstanding Album; Enzo Ishal is also a nominee for Outstanding Male Musician and Outstanding Song while Enock ‘ExQ’ Munhenga is nominated for Outstanding Male Musician and Outstanding Album. The awards aim to inspire artistes to strive for higher and original forms of creativity while providing an opportunity for arts disciplines to jointly market and publicise the arts locally, regionally and internationally.